Manage and evaluate investigators with powerful scheduling and reporting tools. 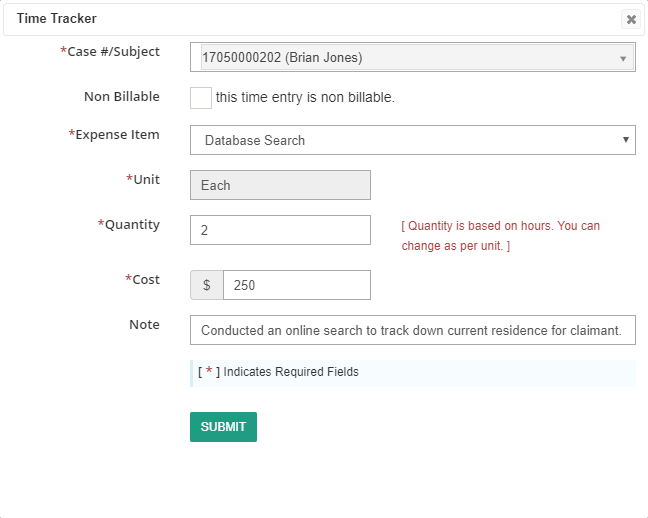 Your staff can login, view their case assignments, enter updates, time spent, expenses and more. Setup pre-written content for investigators to utilize when creating their final report and reduce costly report editing time. Assign cases to investigators for online viewing. Use the built in roles and access to control what information your investigators see and do. Did an investigator arrive on time? Is their report or video submission late? An update to the client is overdue? Automate notification for these scenarios and more. Evaluate investigators with tools built by managers. What is an investigator’s video percentage? How many cases did they bill out last quarter? Tracking and determining how much an investigator is owed is a daunting task for company owners. NOT ANYMORE! As staff works cases, they enter time and expenses as they go along. When payday approaches, select a period of time and determine how many hours an investigator worked. Do the same for expenses and ensure payments made to staff are on time and accurate. The system can even send a time or expense report in PDF to the investigator. Use the Quickbooks integration to funnel all the accounting data straight into the software for seamless financial management. 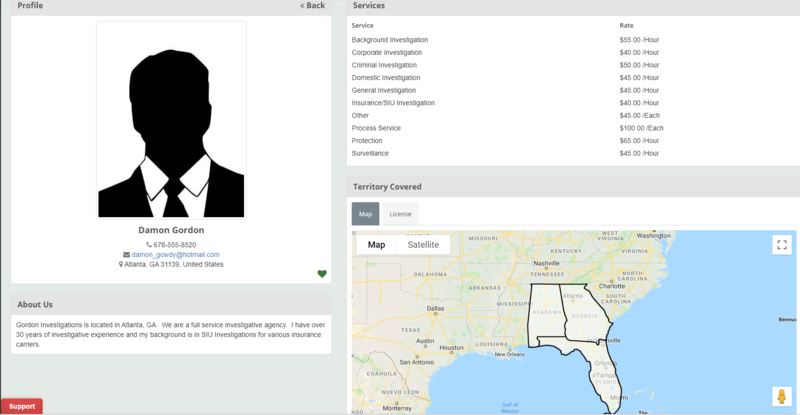 Instantly find qualified investigators outside your coverage area. 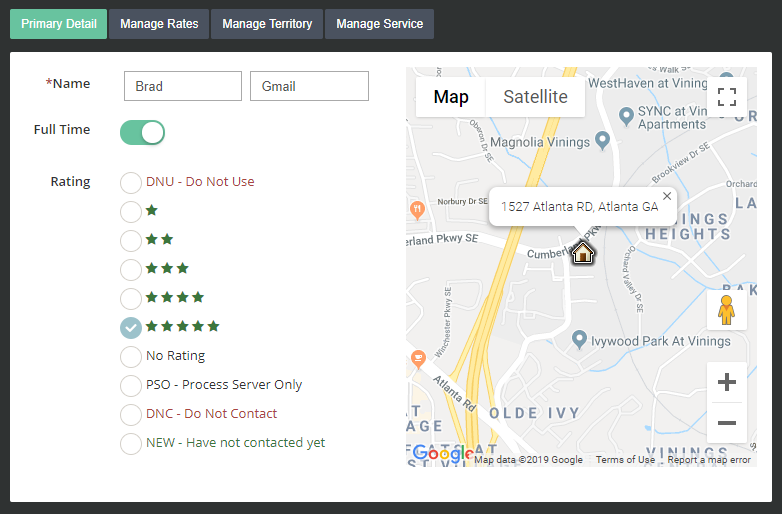 Once an account administrator activates The Investigator Alliance feature on the account, CROSStrax gives you the ability to search and locate vetted investigators across the United States. When you’re looking for a private investigator outside your service area, search the platform and immediately find qualified help. No more posting to list serves and waiting for a response. If you are not a CROSStrax user, click here to signup for The Investigator Alliance.